Located in the beautiful Capay Valley, the rich creek-bottom soil, intense summer heat, and winter frost make exceptionally tasty fruits and vegetables. Since 1990 Riverdog Farm used a system of compost, crop rotation, cover cropping and hedgerow planting to keep the soil healthy and to promote a healthy ecosystem around the farm. Animals are integrated into the farming system by providing natural fertilizer for orchards and fields and are all raised on organic pasture. 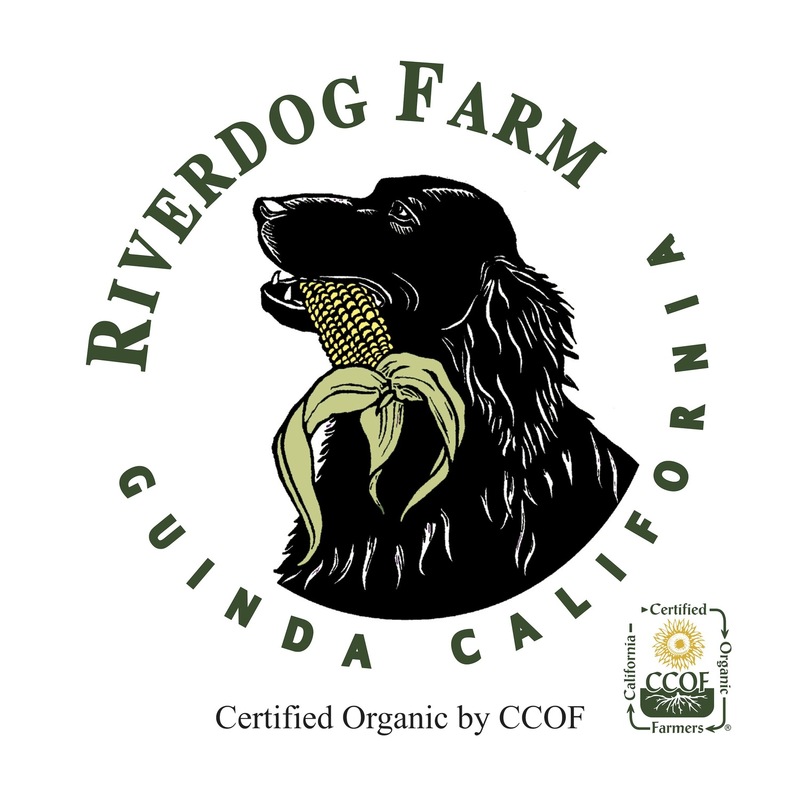 Riverdog Farm is certifed organic by CCOF (California Certified Organic Farmers).